The Australian IT industry is booming and while there is demand for specialist computer programmers, employment opportunities are not limited to coders. There are job vacancies across all IT industry skill sets. If you are looking to migrate to Australia as a skilled worker, , it is not necessarily your coding language you may need to brush up on – improving your English language skills may serve you better. Good project managers have a mix of specialist technical knowledge, great planning skills, communication skills to a range of people, leadership skills and the ability to motivate. You will need to be able to oversee a project from conception through planning, budgeting, to build, testing and delivery, as well as managing ongoing support and maintenance. Communication skills are key in this role as you will be excepted to speak to clients, managers as well as your technical team – it is your job to make sure each of these understands the details of the project. Account Managers are part diplomat and part therapist. This is a ‘client facing’ role and your communications skills need to be very good as your role is to make sure the client is happy with the service, comfortable with the process and confident that their project is in the best possible hands. You also need to make sure the project manager fully understands the clients’ expectations and that any project constraints are clearly defined and communicated. Budgeting skills are also very useful in this role. Again, communication skills are key in the performance of this role. You need to fully understand the ICT product or service you are selling and be able to clearly communicate the features and benefits to potential buyers. Many sales positions require that you build a relationship with potential buyers and can mean that you are not only at a desk making calls but going out to meet business prospects to understand their needs. Language skills and personal presentation are an important part of this job. Whether you are out there selling or managing complex ICT projects, there are opportunities for you to migrate to Australia and claim an IT industry job. Independent Skilled Migration and Employer Sponsored visa programmes are available to ICT professionals who have the right mix of technology know-how and communication skills. 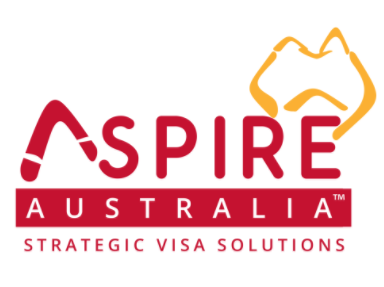 If you are an ICT professional who does not want to be stuck behind a monitor then Call or email us here at Aspire Australia today to find a pathway for your move to Australia to work in the IT industry.